While dental procedures like fillings or root canals are crucial to repairing damaged or decayed teeth to keep your oral hygiene in top shape, seeing your dentist is only half of a strong oral care routine. Your at-home dental habits also shape your oral health. Find out more about good oral hygiene habits and what you can do to maintain your dental health with Dr. Ibtisam Rashid and Dr. Hana Rashid at Beautiful Smiles Dentistry in Roseville, CA. What is a good at-home oral health routine? 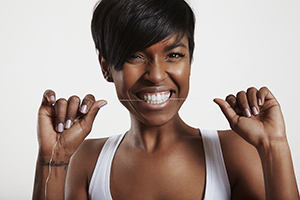 No matter your risk level of dental issues like tooth decay, you should always brush your teeth at least twice daily and floss at least once. This simple commitment should be enough to keep the bulk of tooth decay and gum disease at bay. However, this important task also takes some help from your dentist. Preventative examinations and cleanings will help your dentist find and treat issues like decay early with more simple, non-invasive procedures than in its later stages. Regular dental examinations and cleanings should occur at least every six months. Sticking to this schedule helps your dentist keep your teeth free of the plaque and tartar which causes decay, preventing the condition before it begins. By preventing decay, you also prevent gum disease, the leading cause of tooth loss. In addition to the preventative benefits of regular dental visits, they also treat your dental conditions before they have time to become severe, saving you time, money and effort. Maintaining your oral health with good at-home habits is easy with help and advice from your dentist. For more information on regular dental examinations and cleanings or your oral health, please contact Dr. Ibtisam Rashid and Dr. Hana Rashid at Beautiful Smiles Dentistry in Roseville, CA. Call 916-780-1955 to schedule your appointment with your dentist today!